Mancini took over as Italy coach last May after the four-time world champions failed to qualify for the World Cup in Russia. 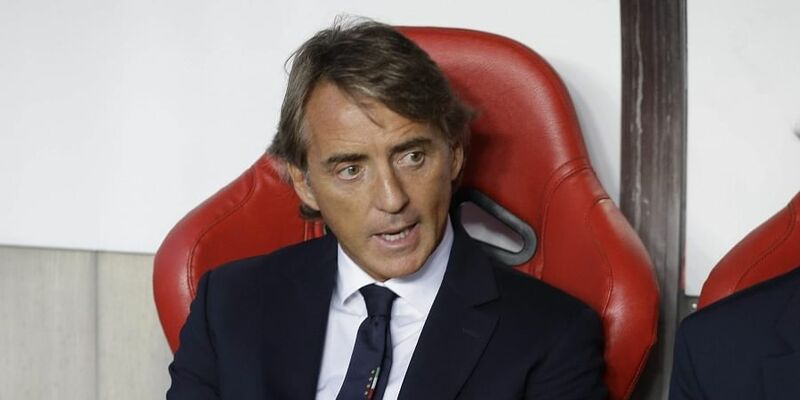 MILAN: Roberto Mancini insisted Saturday that it would not be a drama if Italy flop in the Nations League as his objective remains being competitive for the 2020 European championships. But since then they have won just one game -- a friendly against Saudi Arabia -- and are bottom of their Nations League A Group 3 with one point from two games. "Our aim is to be ready for Euro 2020," said the former Manchester City and Inter Milan coach ahead of Sunday's game against Poland in Chorzow. "If we lose tomorrow, not much really changes. It's not as if we'll miss out on the Euros and never play again. It can happen to England, to Croatia, or Holland. "The Nations League was created just so countries wouldn't underestimate friendly matches. I don't see the need to make a drama out of it." Italy were held 1-1 by the Poland in Bologna last month and have also lost 1-0 to European champions Portugal. Sunday's game will be a clash to avoid third place and relegation into League B. But Mancini dismissed criticism by Italian defender Leonardo Bonucci that things have gotten worse since their failure to qualify for the World Cup. Italy were held 1-1 by the Ukraine in a friendly last Wednesday in Genoa. "I don't think that our football is zero or below zero," said the 53-year-old former Italy international. "Our football is technically at a time when we are trying to rebuild a team after the World Cup. "It has happened to all nations, and to Italy now, we must be patient and roll up our sleeves. We are working and I think that soon we will have a great team that will make us proud." “When we started, the target was to reconstruct the side and make a decent impression in the Nations League, but that's it. "The rest is work we'll reap the rewards of later on. It takes a little time, it's not simple, but we're trying to find the group that can do great things for the Euros." "It's not a final, it's not a play-off," added captain Giorgio Chiellini of Sunday's game. "It's just an important boost for the Europeans. But the road is still long."